Think finding the Best Wetsuit for Cold Water is challenging? Lets take a look at our favorite suits for low temps. If you’re thinking about doings some watersports like surfing, kayaking or diving, in colder water, you’ll most definitely need a wetsuit. Why? 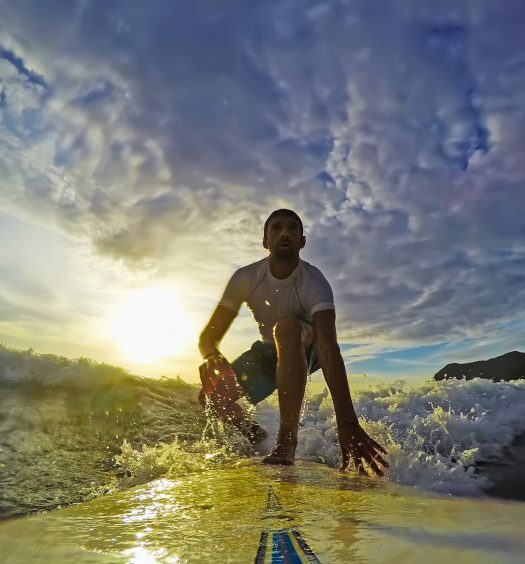 Well, a wetsuit is designed to warm you up and protect your skin from adverse effects and cuts from corals and jellyfish stingers, that’s why. It is important to note that water transfers heat much better, and can get much colder much faster. 60 degrees air temperature is moderate, but 60 degrees water temperature is very cold. Being in such in an environment will certainly make you feel cold very fast, and prolonged exposure may lead to hypothermia. 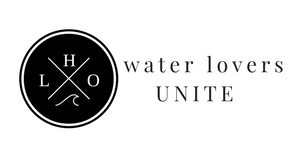 So, if this doesn’t convince you to get a wetsuit, nothing will. 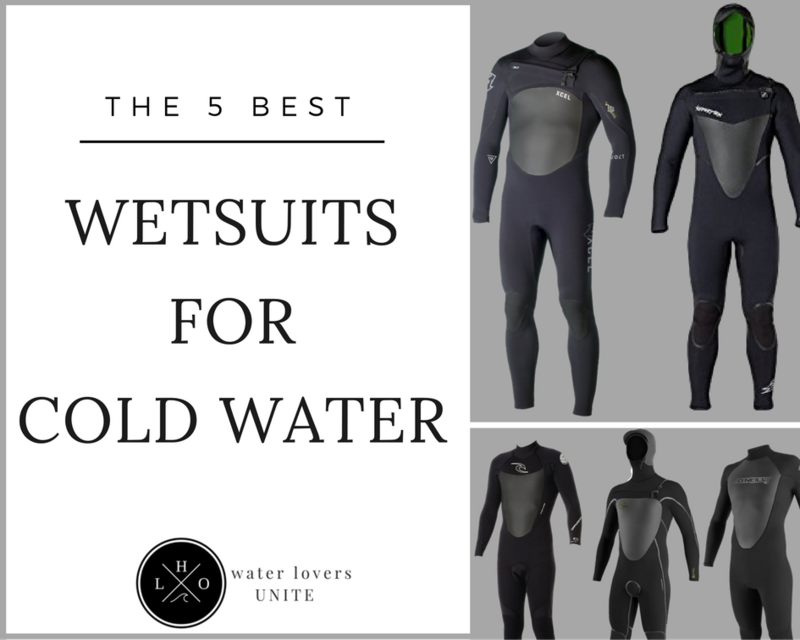 But if you’re convinced, we have for you a list containing the five best wetsuits for cold water. But first, let’s go over some details you need to know when choosing your wetsuit. Firstly, let’s talk about how a wetsuit works. 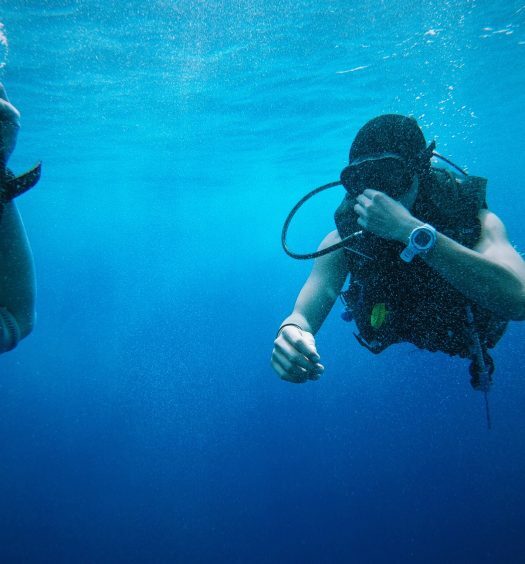 A wetsuit traps a thin layer of water between your skin and the suit. The water is warmed up by your body, and water retains heat much better than air, making your feel warm and snug. Thickness: Now, to determine how effective the suit will be in retaining heat you need to look at how thick the suit is. Naturally, the thicker the suit, the better will it retain heat. Also, you need to determine what kind of waters will you be visiting, and choose a corresponding suit, as a suit that’s too thin will not protect you, and a suit that is too thick will be most uncomfortable to wear.To help you with your choice, we’ve included a chart that shows how thickness corresponds to the temperature of the water. Size: When choosing the right size, the best way to check if the suit fits is to determine whether there is any excess room between the suit and the skin on the shoulders, knees and torso. If there is, then the suit is too big. Also, try lifting your arms. If this movement is greatly restricted, the suit is too small for you. Finally, try crouching. If you can do so without any major impediment, this is the right size for you. Most likely you are buying online since your will find a bigger selection and more competitive deals. When you are unable to try on, I recommend using your t-shirt size as the size wetsuit to order. If you are in-between sizes, go down instead of up. And that’s it for our little guide, so let’s get on with the list, shall we? 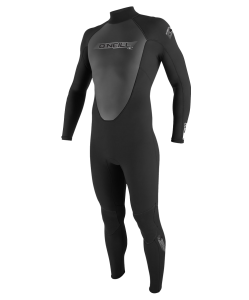 Taking the lead is the O’Neill Men’s Reactor wetsuit. Since O’Neill is a very well regarded company that produces watersport gear, you can rest assured that this is a high-quality suit. This is a 3/2 mm suit, meaning it is best used in water, the temperature of which is not lower than 62 degrees Fahrenheit. The suit is made of high-end neoprene that’s warm and snug. It features a single Superseal Neck that disallows water from seeping in and down your neck. This suit features a Flatlock Construction seams that are very tight and are very rarely reported to let in water. The seams are very well made, and they lay flat against your body so as not to cause abrasion and discomfort. The product also features Krypto Knee Padz, thus preventing abrasion of the knees from excessive kneeling. The suit is overall very durable and resistant to slashing and other types of physical damage, making it perfect for use in rougher waters where the threat of hitting sharp objects exists. The suit is very warm and snug. Excellent durability; will stand for years of abuse. Coming up next is the Xcel Men’s Revolt Quick Dry suit. Like the last one, this suit once again utilizes a 3/2 mm thickness, allowing the use in water no colder than 62 degrees. 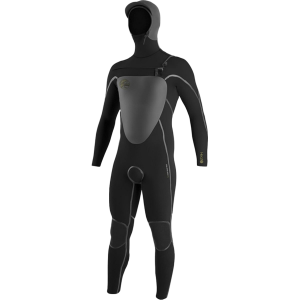 One of the suit’s main features is the TDC – Thermo Dry Cellinat. The TDC technology allows for excellent core temperature and superb heat retention. It also allows the material to be very flexible and gentle toward the skin, in addition to being warm. The suit features a very tight seals on the neck and extremities to disallow too much cold water from getting in. This suit features the X2 front entry system so you can easily put it on and off. The suit is made of extra stretchy and comfortable neoprene. It is very durable and very comfortable to wear, thanks to the superb make of the seams. The suit is very warm and comfortable to wear. Very easily put on and taken off. Excellent seals allow very little water from seeping in. Onto some thicker suits. 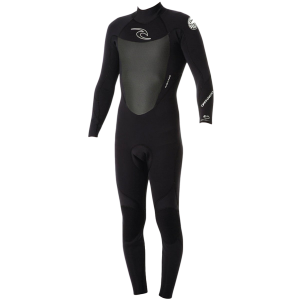 The Rip Curl Dawn Patrol Wetsuit is a 4/3 mm suit, making it perfect for water temperature not lower than 58 degrees. The suit is made of very stretchy and comfortable E4 and Freeflex neoprene. Aside from the flexibility, this suit’s neoprene make makes it very warm and snug. To reinforce this product’s heat retention capabilities, the creators have installed stitched sealed seams on it. These puppies are excellent at trapping heat in and keeping the water out, we can only say good things about ’em. The suit also features a Hydro-Lock collar that further increases the water tightness of the product. The Flash Lining in the chest area of the suit allows for even more heat to be retained, truly making this suit one of the warmest suits on the market, second only to dedicated heavy duty suit. A very thick neoprene allows for excellent heat retention. The suit is very flexible and easy to put on and take off. Glued and blind stitched seams allow for more heat being trapped and prevent water from getting in. The suit is very durable and long lasting. This suit from Hyperflex Wetsuits is the first of our heavy duty entries. This suit is very thick, allowing it to be used in some very low temperatures. 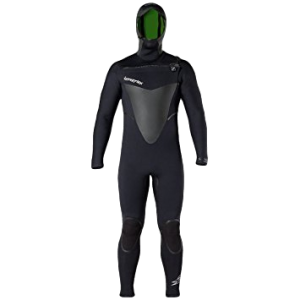 The neoprene used to make the suit has been infused with atomic foam – this increases the number of air cells, increasing, at the same time, the heat retention abilities of the suit. The AQ6 thermal fabric in the suit is very soft and comfortable for the wearer, while it, again, retains more heat. The product features the Cocoon Entry Point and Closure system for easy access to the suit. The seams on the suit have been double glued and blind stitched. This allows ever more heat to be retained while keeping the water out. The Fusion Weld Sealed Seams technology helps form a bond on a molecular level that limits and directs water exchange, increasing the tightness of the seals. Very easy to enter and exit. Excellent for very cold water conditions. Superb seams retain heat and disallow water from getting in. And our final entry is another O’Neill suit. This is an extremely heavy duty suit, rated at 42 and below degrees temperature, making this suit excellent for deep water diving. 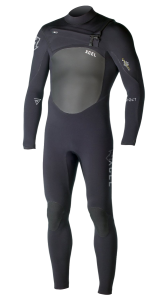 The suit is made of 100% UltraFlex Neoprene for ultimate comfort and warmth. The product has been outfitted with a Double Super Seal Neck to allow as little water as possible water from getting in. it also features Single Fluid Seam Weld seams that allow absolutely no water from seeping inside the suit, all the while trapping heat in abundance. The suit also comes with Krypto Knee Padz for extra knee protection. All in all, this is the best heavy duty suit you can get your hands on – it sets all the standards for other wetsuit makers to follow. Superb suit with excellent heat retention characteristics. Excellent Fluid Weld seams keep water out. Features Krypto Knee Padz for extra protection.